I can't believe my little man is already turning ONE!!! 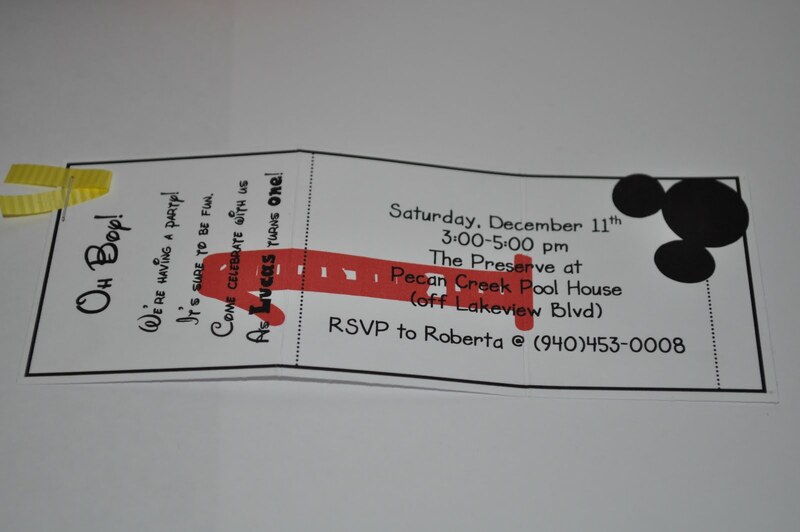 The them of his party is Mickey Mouse Clubhouse, and there are the invitations I made for it. 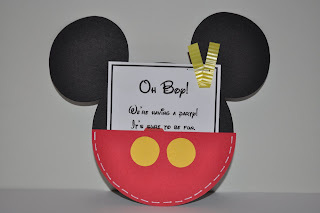 I think they turned out really cute, and everyone loved them. I ultimately wanted to sew the pockets instead of just stiching, and wanted buttons for the yellow circles, but I was running a bit short on time...for shopping trips to M's and HL especially :). Everyone loved them though! Pictures of the party to follow! 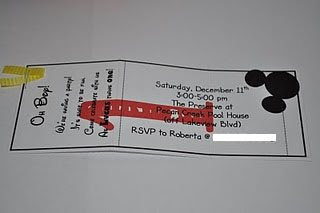 What size is your invite? 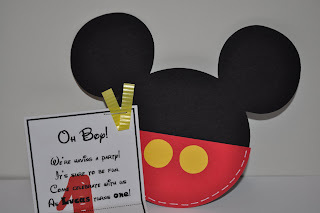 We are having a Mickey party-I always make my own invites and LOVE what you did!!! !